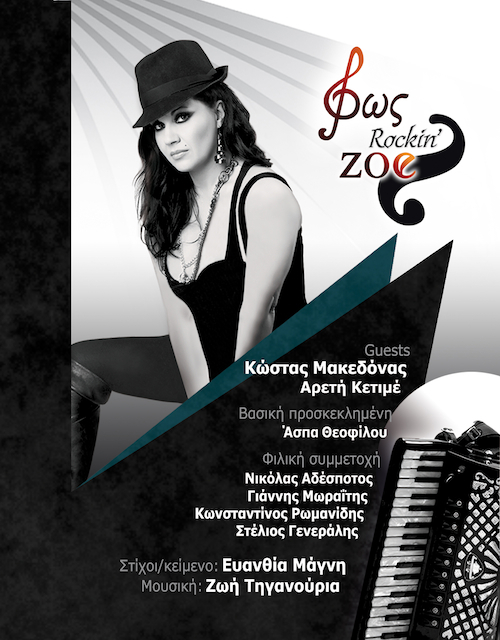 “Fos – Rockin’ Zoe” is the eighth (8) personal album of Zoe Tiganouria and it addresses mainly to the Greek speaking audience. 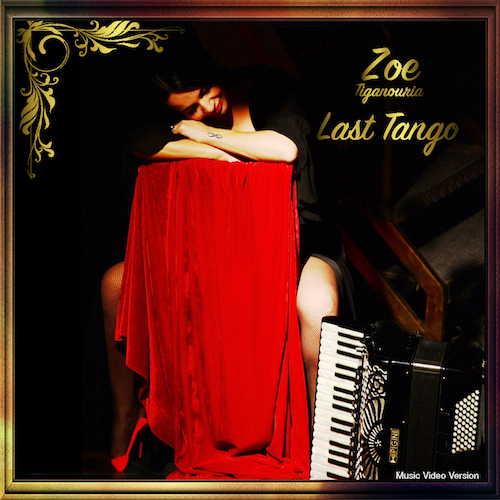 The CD contains thirteen (13) modern songs, in which Zoe Tiganouria orchestrates and combines Rock moods & Tango, Celtic & Oriental sound colors, interpreting them with her unique sound on the accordion. 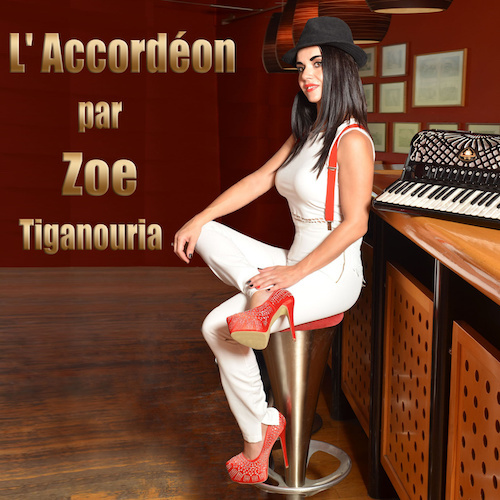 The lyrics by Evanthia Magni are bound together and form a single story-text entitled “Who are you” inside the booklet of the album. Also, there are lyrics from Konstantinos Romanidis and Stelios Generalis in two songs. 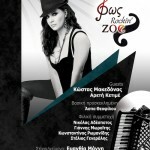 Special guests in this production are Kostas Makedonas, Areti Ketime, Nikolas Adespotos, Giannis Moraitis and Aspasia Theofilou. In the same CD, Stelios Generalis debuts for the first time in discography with the ballad entitled “And then… I saw the moon inside your eyes”, signing both music and lyrics. 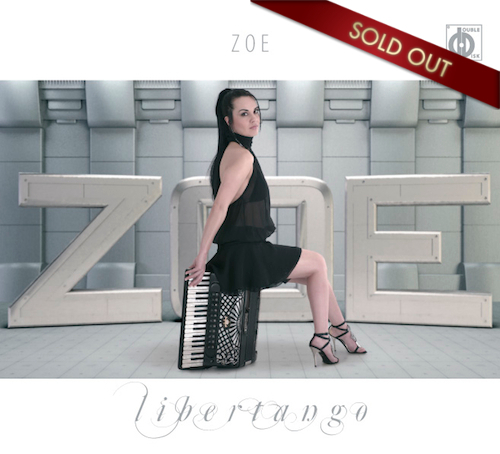 In this production, consisted entirely by songs, many distinguished musicians have played and helped for the high-quality musical outcome.